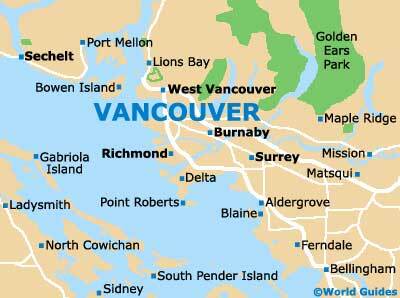 Whether you want to drive out of Vancouver for just 15 minutes or you are prepared for a day trip, there's no shortage of top attractions and things to do around Vancouver. The resort of Whistler holds the crown for the most exciting and notable destination nearby Vancouver, offering all manner of activities and attractions, while for those looking for a quieter experience among nature, the Capilano Suspension Bridge and surrounding park are a must. 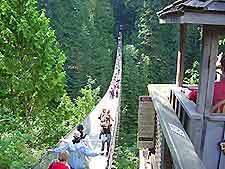 Located just a short distance from central Vancouver, the Capilano Suspension Bridge is one of the city's premier attractions. 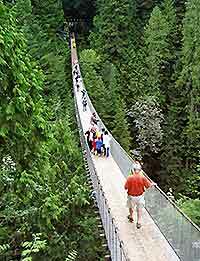 Built in 1889 and stretching 450 feet / 137 meters across and 230 feet / 70 meters above the Capilano River, the bridge is a unique feature of the 27-acre / 11-hectare park. Highlights include a variety of interesting attractions including a 7-acre / 3-hectare West Coast rain forest, the interactive Living Forest exhibit, Cliffhanger Walk and the newly added Treetops Adventure attraction. Speed freaks will love the Richmond Go-Karting center, where a half-mile long track can be tackled either in a single-seater kart or with a friend in a double-seater kart. Race against friends and family or try and clock up a personal best single or overall lap time. Whistler is British Columbia's premier outdoor sports resort, offering a wide variety of activities and attractions around the calendar. During the summer season, visitors can take part in white water rafting, mountain biking, canoeing, hiking and horseback riding, while in winter, attractions include skiing, snowmobiling, sleigh riding, snowshoeing and more. 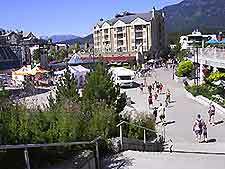 Within driving distance of Vancouver, Whistler is a must for anyone with a love of the great outdoors. Watermania is part of the Riverport Sports and Entertainment Complex and it offers visitors a unique mix of water-based fun and exercise, close to Vancouver. Attractions include a wave pool, waterslides and springboards, offering fun for the young and the young at heart, while a large competition pool is ideal for those with serious swimming intentions.